On January 15 2011, a 28-year-old bay mare, I.D.# N2BH, was found dead on the Maryland side of Assateague Island National Seashore in the park’s remote backcountry. According to delmarvanow.com, by March, park rangers had identified a suspect, but could not file charges until the evidence had been processed and tested at a federal crime lab. The Assateague rangers were assisted in their investigation the U.S. Attorney’s Office in Baltimore, National Park Service investigators and the Bureau of Alcohol, Tobacco, Firearms and Explosives. By October, authorities had enough evidence to charge Easton resident Justin B. Eason with illegal taking of wildlife, use of a weapon that endangers persons or property, destroying from its natural state living wildlife and knowingly giving a false report. Each charge carries a maximum sentence of six months in jail and a $5,000 fine. They also charged Preston resident John A. Eason II with giving a false report. According to delmarvanow.com, Maryland court records indicate that the Easons have a history of poaching. 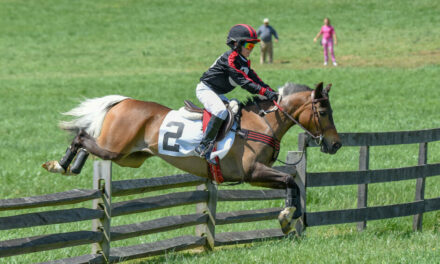 Results from a Weekend Full of Steeplechasing!